Self-congratulatory, posturing "novel" about all the dogs he has worked with. Very little actual advice, and most of it is borderline abusive.Try Karen Pryor's "Don't Shoot the Dog," or Jean Donaldson's "The Culture Clash," or even Bashkim Dibra's "Dog Training" instead. 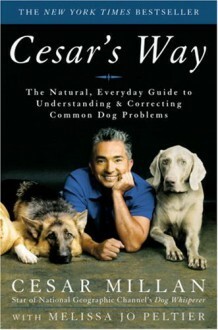 Interesting book about the care and training of dogs with far too many celebrity walk-ons. Some sound advice, but the constant name-dropping annoyed me.